There is nothing quite like football’s World Cup. 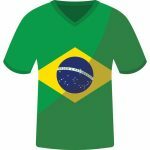 Held only once every four years, it is one of the most watched sporting events on the planet, with the 2014 World Cup in Brazil shown in every single country and territory on earth. More than just a football tournament, this is an event that brings the world together. 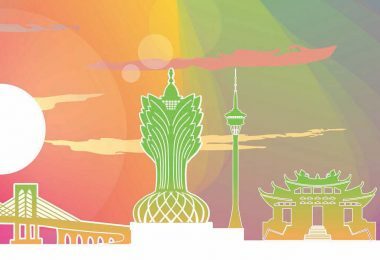 It is a global festival transcending sport itself – a colorful expression of the many cultures taking part and those who hope to join the 32 lucky finalists sometime in the future. Consider this: in 2014 the World Cup was viewed at one time or another during the course of the 64 matches by 3.2 billion people comprising almost 50 percent of the global population. 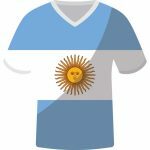 An estimated 280 million around the world watched matches online or on a mobile device, while the final between Argentina and Germany attracted an inhome audience of 695 million, up 12 percent on the 2010 final for viewers watching for 20 minutes or more. The total audience for the final, including in-home and out-of-home viewers watching for at least one minute, hit 1.013 billion. 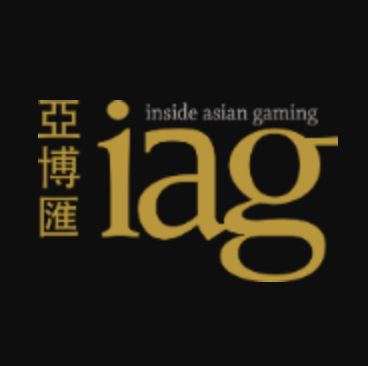 So now we’re off to Russia for a tournament that promises to be the most closely fought of all time with, in WGM’s opinion, more genuine contenders than ever before. 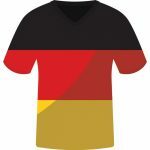 Defending champions Germany look strong once again after a devastating performance in qualifying, but our pick is one of the South American giants – either Brazil or Argentina to go all the way on the back of their superstar leaders Neymar and Lionel Messi, this time with particularly strong supporting casts behind them. But for sheer depth it would be folly to ignore the claims of France, while Belgium and Spain have legitimate claims and England’s push for youth could well be the key to putting their long-standing demons behind them. 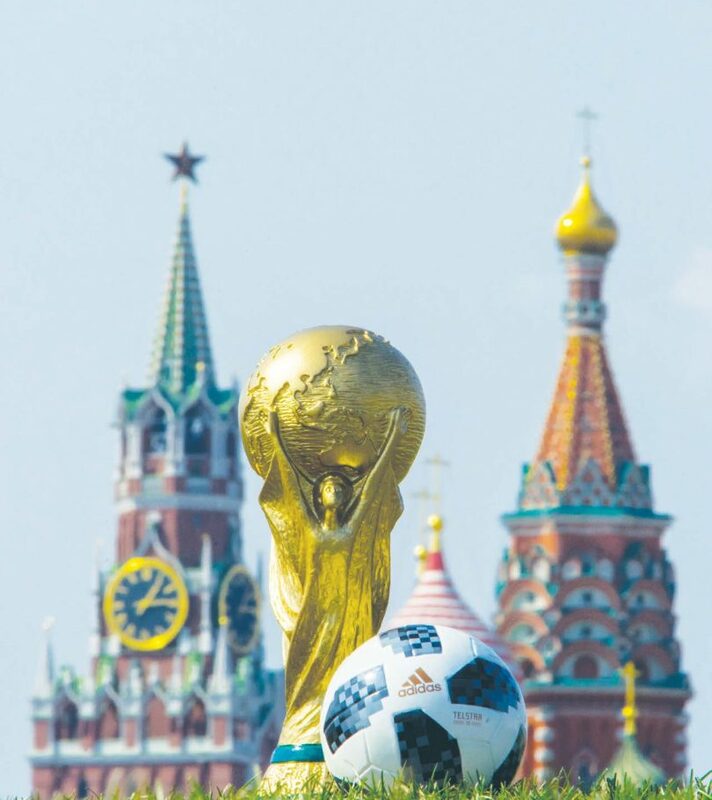 There is so much to look forward to at this year’s World Cup and you can find it all here with WGM’s complete 2018 World Cup Guide. Enjoy! 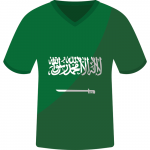 After missing the last two World Cups, Saudi Arabia returns for Russia where they will open their campaign against the host nation in a match where they will be confident of eking out a result. Their respective rankings couldn’t be closer with Saudi Arabia ranked 67th in the world, just one spot behind Russia at 66. Striker Mohammad Al-Sahlawi was in fact the equal leading goal-scorer globally in qualifying with 16 goals, the same as Poland’s Robert Lewandoski and the UAE’s Ahmed Khalil. 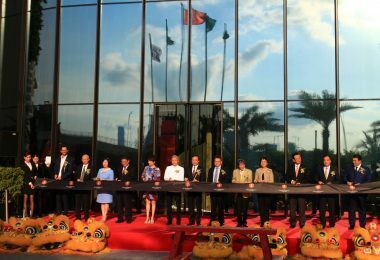 The Green Falcons are one of the more accomplished teams in Asia and will be hoping to match or better their best World Cup result, having reached the Round of 16 in 1994. Juan Antonio Pizzi, former coach of Chile, will be guiding the team in Russia although it remains to be seen how quickly the side adapts to his style. Pizzi, who represented Argentina, didn’t actually guide the team to this World Cup, having instead been called in only a few months ago following the sudden departure of Dutch coach Bert van Marwijk after a number of years in charge. The first ever winner of the World Cup arrives in Russia with ambitions of a return to the glory days. 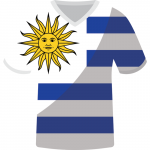 Uruguay has won the World Cup twice, in 1930 and 1950, and with no clear favorite to lift the trophy in July will fancy their chances of springing a surprise. Certainly the side boasts some of the finest strikers in the world, namely Luis Suárez and Edinson Cavani, the prolific goal scorers from Barcelona FC and Paris Saint Germain respectively. Suárez holds the record of being Uruguay’s greatest ever goal scorer with 49 and his charismatic presence and combative profile will play a key role in Uruguay’s campaign. Sitting just behind him on Uruguay’s all-time list with 40 goals is Cavani and if both players fire they will form a lethal duo. Coach Óscar Tabárez, nicknamed El Maestro (The Master or The Teacher) took Uruguay to glory at Copa América in 2011 and was at the helm of the national squad in Brazil in 2014, where they reached the Round of 16. That campaign was soured by the loss of Suárez, who was banned for four months after biting Italy defender Giorgio Chiellini in their group stage clash. Liverpool’s Mohamed Salah is the player everyone is talking about in Europe. A wonderful performance this season helped his team storm into their first UEFA Champions League final in 11 years. 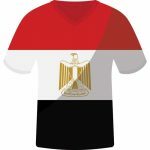 A football team is more than one man, but in Egypt’s case it’s hard to ignore just how important Salah is to their chances of progressing through the group stage in Russia given his phenomenal EPL season and Egypt will be anxiously hoping he recovers in time from the shoulder injury he suffered in Liverpool’s 3-1 Champions League final loss to Real Madrid. The striker broke the record for goals in a Premier League season with 32 this year as well as winning just about every individual awards on offer. His presence on the pitch has been the catalyst for Egypt’s first World Cup appearance since 1990. He has been the top scorer for the team in the qualifiers with five goals in five games and fired home the winning penalty that cemented Egypt’s presence in their third World Cup finals. Coach Héctor Cúper has done an impressive job in molding a competitive side with the likes of Mohamed Elneny and midfield maestro Trézéguet among those he will be looking for to provide solid support for their star striker. The Argentinian is renowned for implementing strong defensive tactics in his squads. Playing at home gives any team an obvious advantage. With automatic qualification, they don’t have to show their cards until the competition starts and can work calmly on fine tuning their squad. On the other hand, the lack of intense competition and extreme pressure can prove too much, as Brazil discovered when they lost 7-1 to Germany in their 2014 semi-final. However, it was not just Napoleon who had trouble when fighting Russians. Every side that has played in Russia knows the difficult pitches play an important role when facing its national team. So can Russia match its best ever World Cup result – a fourth place finish in England in 1966? At the very least Russian fans will like their chances of progressing through the group stage. At the helm of the team since 2016, coach Stanislav Cherchesov is a previous member of the national team – having kept goal for Russia at the 1994 and 2002 World Cups – so he knows what his players can expect. Portugal arrives at this World Cup with sweet sensations. After claiming the Euro crown in 2016 for its first major international title, the side swept its rivals in the qualifiers and will head to the World Cup full of confidence. Leading the squad is one of the greatest players of all time: Cristiano Ronaldo. An astonishing portfolio of personal achievements that includes winning the Ballon D’Or as the world’s best player five times won’t be complete without a World Cup trophy and there is no doubt he will view this campaign as his ultimate challenge. 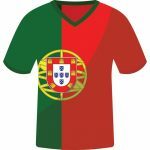 Matched against traditional rivals Spain, even topping its group will be difficult but Portugal brings with it an accomplished side boasting the likes of Ricardo Quaresma, Bruno Alves and João Moutinho. Coach Fernando Santos has been the man responsible for guiding Portugal to its most successful era ever and he will know all too well just how important their group opener against Spain will be. While the fundamentals of this team still center on the group of veterans that enjoyed World Cup glory in South Africa in 2010, it is the new additions to the Spanish national squad that have brought a sense of renewal. The pillars of the team provide a strong base, with names like Iniesta, Busquests, Alba, Pique, Ramos and Silva. However, it is players such as Isco – who performed so exceptionally during the qualifiers – Morata, Carvajal, Asensio and Thiago that are fueling the “La Roja” ranks with extra speed and precision following the retirement from the national team of David Villa, Xavi Hernandez and Fernando Torres. 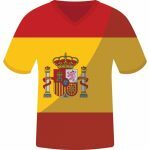 Spain’s renewal is being successfully driven by new coach Julen Lopetegui, with results under his tenure inviting supporters to be optimistic of returning to the pinnacle again. Lopetegui has a particularly strong track record guiding youthful squads, having previously taken the Spanish Under-19s and Under-21s national sides to success in the UEFA European Championships. 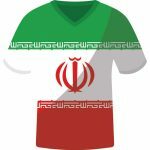 Iran was the first team to qualify for the final phase of the World Cup thanks primarily to its rock solid defense. This means that Group B will feature the best defensive team from Africa in Morocco (one goal conceded in eight matches), from Europe in Spain (three goals conceded in 10 matches) and from Asia, with Iran conceding just five goals in 18 games. Former Real Madrid coach Carlos Queiroz, who currently directs the team, saw his side’s goal unblemished for 18 hours and 41 minutes – a period of almost two years between opposition goals. Queiroz was quoted in an interview with FIFA.com as saying that the realistic target of the team now is to progress to the knockout phase, although he considers Iran to be in the most difficult group of the whole program. 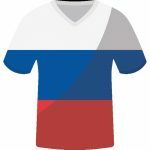 Iran has reached the World Cup finals four times, but Russia represents their second appearance in a row, suggesting this side is now coming into its own. The star of the team is striker Sardar Azmoun, who currently plays in Russia for Rubin Kazan. Azmoun is Iranʼs fifth highest scorer of all-time. Morocco returns to play in the World Cup finals after a 20- year absence. It will be the fifth time the side has reached this point, having overcome traditional African powerhouse the Ivory Coast in qualifying in order to do so. The coach of Morocca is Herve Renard, who holds the honor of being the first coach to win the CAF Africa Cup of Nations with different countries. He commenced coaching Morocco in 2016 and with him leading the way they wasted no time sealing their long-awaited passport to Russia. Renard’s challenge now is trying to better the side’s best World Cup performance, having reached the round of 16 in Mexico in 1986. Perhaps his toughest decision during the World Cup will be who should wear the number one jumper. Goalkeepers Munir Mohmandi and Yassine Bounou are considered two of Morocco’s greatest ever players with both currently playing their club football in Spain. Having drifted out of contention in major championships in recent years, Les Bleus head to Russia with a squad boasting perhaps more depth than any other contender. Can they go all the way? France’s attacking front line possesses so much firepower it is literally impossible to accommodate them all. Mbappé, Dembelé, Giroud and Griezmann form probably the most dangerous array of attacking options of any squad in the tournament. The key to success may involve not only choosing the perfect combination but keeping those who miss out on the starting XI happy. It’s a similar story in midfield and defense – France have so many world-class players that the pressure is well and truly on coach Didier Deschamps to get his team selections right. To put it bluntly, there can be no excuses. 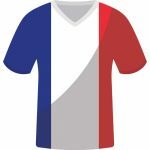 The brilliant midfield of France is populated by the likes of Paul Pogba, N’Golo Kanté and Blaise Matuidi and when combined with their forward riches present the mouth-watering prospect of goals galore. Certainly that will be the expectation in what shapes as possibly the softest group at this World Cup. The South Americans are celebrating two comebacks this year. The squad returns to the World Cup after a 36-year absence but, most notably, they have done so by returning to the essence of their style: short passing, organization and technicality. This traditional style took Peru to the quarter-finals of both the 1970 and 1978 World Cups. The man behind the change is Argentinian coach Ricardo Gareca who has adopted the old style but added organizational features to the squad. With Gareca in charge the team has lost just one match in their last 10, lifting their ranking to number 11 in the world. 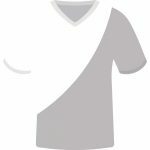 The key players for Peru are midfielders Yoshimarr Yotun and Renato Tapia and strikers Jefferson Farfán and Paolo Guerrero. However, at time of writing Guerrero was fighting to delay a sanction that could prevent him from taking part in the World Cup and was not included in Gareca’s provisional squad. Australia has faced arguably the toughest path to qualifying of any team competing in this year’s World Cup. The long distances the Socceroos had to travel for every away match proved to be a massive physical challenge and may well have played a role in Australia eventually needing a play-off against Syria to book their ticket to Russia, having missed automatic qualification. 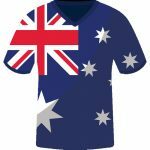 This Australian squad is a long way removed from the starstudded side that reached the knock-out stage in 2006 – falling agonizingly short of reaching the quarter finals with a last-minute loss to Italy. However, the one constant is Tim Cahill – at 38 years of age playing in his fourth World Cup and still displaying an incredible ability to make an impact when it matters most. Who could forget his stunning strike against the Netherland in Brazil in 2014? One more goal and Cahill will join the exclusive club of players to score in four different World Cups alongside Brazil legend Pelé and German duo Miroslav Klose and Uwe Seeler. 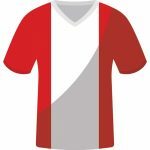 Perhaps the greatest unknown for this Australian side will be the input of new coach Bert van Marwijk, who was only hired in January following the sudden resignation of Ange Postecoglou. 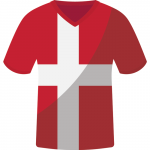 After the gloomy football times Denmark faced when the exceptional Laudrup generation that reached the Euro 2012 finals came to an end, Scandinavian fans are optimistic again. And there is one man responsible for such optimism: Christian Eriksen. The Tottenham star has been Denmark’s most prolific striker during the qualifiers and finished just behind Poland’s Robert Lewandowski and Portugal’s Cristiano Ronaldo as top scorer in Europe. Eriksen scored a hat-trick in the play-off game against the Republic of Ireland that booked the side’s ticket to Russia. Coach Åge Hareide has shaped his squad around Eriksen with the 4-3-3 attack formation fitting perfectly with the style of his star man. Denmark will likely rotate those around Erikson in the front line, which includes Yussuf Poulsen, Pione Sisto, Nicolai Jørgensen and veteran Nicklas Bendtner. In the midfield, Thomas Delaney will partner with Eriksen to create a lethal connection. Delaney has been overshadowed by the stellar performances of his teammate, but remains a key component of the team. The Scandinavian nation plays in the World Cup for the very first time. An unexpectedly superb performance during Euro 2016 – in which the minnow nation not only reached the knockout stage but upset England in the Round of 16 – saw them take renewed confidence into their World Cup qualifying campaign as they breezed through with seven wins and a draw from 10 matches. Ironically, having topped its qualifying group, Iceland will face the team that finished second in the group, Croatia, when it travels to Russia and their clash could well be the one that decides who progresses. Coach Heimir Hallgrimsson generally prefers a 4-4-2 system but he has demonstrated flexibility in order to adapt to various circumstances. One of the most important setbacks he will need to overcome is the absence of injured Nantes striker Kolbeinn Sigþórsson. That means plenty of extra responsibility will fall onto the shoulders of Everton’s Gylfi Sigurðsson. 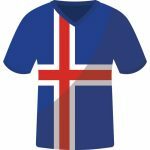 Iceland, with just 335,000 people, will have the honor of being the country with the smallest population in this tournament. The most populated country in Africa has an open passion for soccer. Nigerian teams in the 1990s revealed a new way of playing football that resulted in some impressive success. Their overwhelming physical power and increasing technical talent promised big things on the world stage, however once the generation of Nwankwo Kanu, Sunday Oliseh and Jay-Jay Okocha retired, Nigeria’s power football began to lose steam. Since qualifying for its first World Cup in 1994, Nigeria has only missed the tournament once, in 2006. Despite this, the Super Eagles have never progressed further than the Round of 16. 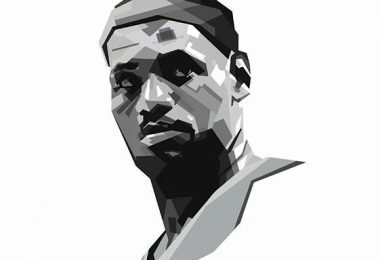 No doubt this will be the target of a fresh generation of players looking to reach new heights. The man setting the guidelines for the young Nigerian team is a German. Gernot Rohr has been managing the team since 2016 and comfortably guided the side to Russian qualification with a game to spare. They were in fact the first African country to qualify for this World Cup. Keep an eye on former Chelsea star John Obi Mikel, who will form a lethal midfield combination with current Chelsea man Victor Moses and Arsenal’s Alex Iwobi. Barcelona star Lionel Messi has achieved just about every honor there is, but just like his great rival Cristiano Ronaldo, World Cup glory continues to elude him. And while Messi’s standing as one of the greatest of all time is beyond doubt, conquering the World Cup will allow him to step out of countryman Diego Maradona’s shadow and claim the throne for himself. In Brazil four years ago he took the team all the way to the final against Germany, but fell just short of the ultimate prize in a heartbreaking 1-0 loss. Which raises another point – while the World Cup-winning Argentinian side of 1986 was able to overcome the tight marking Germany applied to eke out a victory, this squad has yet to prove its mettle without Messi firing on all cylinders. Talent doesn’t appear to be a problem, with the likes of Javier Mascherano, Ángel Di María, Paulo Dybala, Sergio Agüero, Gonzalo Higuaín and Éver Banega, but the truth is Argentina needs to overcome its dependence on Messi if Messi is to become a World Cup champion. Coach Jorge Sampaoli is key to solving the puzzle – if he finds the solution, Argentina has enough talent to defeat any rival. This World Cup will probably be the last for this current generation of Croatia’s national team. 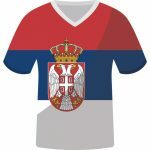 With the majority either nearing or north of 30, this will be the final chance to witness the combined quality of Luka Modrić, Dejan Lovren, Ivan Rakitić, Mateo Kovačić, Mario Mandžukić and Ivan Perišić. Croatia hasn’t been mentioned among the tournament favorites but there is no doubt they loom as one of the genuine dark horses. Most of the squad occupy key positions in their big-name European clubs and their tactical and technical skills provide a crucial structure. 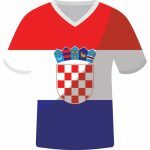 Croatia has enjoyed its fair share of superstar players over the years but has always lacked the final piece in the puzzle, which is why they have failed to truly challenge in the years since reaching the semi-finals in France in 1998. Can coach Zlatko Dalic, who took over the top job in October, find the missing piece? After eight years of failing to make it to a major championship, Serbia qualified for Russia 2018 by topping their group at the expense of teams like Wales. This is just their second World Cup appearance since becoming an independent nation in 2006, but comes with a shadow cast by a change of head coach within weeks of achieving qualification. Former head coach Slavoljub Muslin was sacked amid speculation that his poor relationship with Lazio midfielder Sergej Milinković-Savić was behind his demise. The caretaker manager Mladen Krstajić announced the inclusion of Milinković-Savić straight away and the star midfielder played his first ever international games in two friendly matches against China and South Korea. Although the treatment of Muslin is still being widely debated in Serbia, the 23-year-old Milinković-Savić did indeed have an amazing season with Lazio, scoring 14 times and attracting scouts from Manchester United, Real Madrid and Tottenham Hotspur. A fine World Cup will surely be the youngster’s springboard towards something bigger. 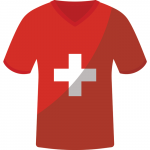 Russia is the fourth consecutive World Cup run for Switzerland and with the Swiss people now expecting nothing less from their national team, there was no great euphoria when it booked its place in the finals – even after progressing through a difficult play-off against Northern Ireland. Arsenal midfielder Granit Xhaka is clearly the heart of the Swiss squad, setting the pace of the game. Switzerland’s attack will mostly involve the two flanks, with speedy wingers such as Xherdan Shaqiri and Steven Zuber providing the crosses into the middle. The wingers also have strong full-backs behind them in Juventus’s Stephan Lichtsteiner on the right and Milan’s Ricardo Rodríguez on the left. But the major concern for them will be the lack of quality in the center forward position. Benfica striker Haris Seferović, who is now the side’s number one choice, scored only four league goals this season. Seferović is by no means as prolific as Alexander Frei, the previous No.9 of the Switzerland national team. Brazil will enter the World Cup as co-favorites. The five-time winners are looking to wipe away the miserable memory of its home World Cup in 2014 where they were defeated by Germany 7-1 in the semi-final – their biggest ever defeat at a World Cup and first home loss in a competitive match since 1975. Felipe Scolari guiltily resigned after the Brazil World Cup, and after another disappointing run in Copa América in 2015 under Dunga’s reign, well-respected Tite came in and earned qualification to Russia. Tite’s preferred formation is 4-1-4-1, and he has such faith in his players that he revealed the squad to local media as early as February. It’s little wonder. Roma goalkeeper Allison remains tough to beat in-goal and while legendary right back Dani Alves has been ruled out with injury, his replacement Danilo along with Marcelo will provide an attacking surge from both flanks. In the middle, Casemiro, Fernandinho, Renato Augusto and Paulinho will shield the screen. Nevertheless, it is the attacking force that makes Brazil one of the most entertaining teams in the world. Roberto Firmino has been sensational for Liverpool and around him is Neymar, Coutinho and Gabriel Jesus. Costa Rica was the surprise packet four years ago in Brazil, progressing to the knock-out stage alongside Uruguay at the expense of Italy and England. Not only did Costa Rica top the group against three of the gameʼs big guns, they also defeated Greece in the Round of 16 before eventually falling to the Netherlands. This time around they achieved qualification with ease in a very tight CONCACAF Group, progressing with two games in hand. However, repeating their 2014 effort could be difficult for the Costa Ricans. Real Madrid goalkeeper Keylor Navas is their star man. Four years ago it was his outstanding performance against Greece, which saw him make several incredible saves in normal time before starring in the penalty shootout, that led to Costa Rica to the quarter-finals for the first time. Defence may well be Costa Rica’s strongest area, as the attacking players who performed so well four years ago, such as Bryan Ruiz and Joel Campbell, are past their prime time and have struggled with injuries. South Korea doesn’t have a convincing qualification campaign behind them to raise people’s expectations. 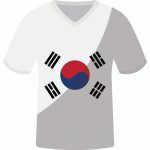 In the decisive third round, South Korea drew three and lost three of its 10 matches including a shock loss to long-term foe China. It also succumbed to Qatar and Iran. But they still managed to qualify as runners-up in their group, just in time for German manager Uli Stielike to be sacked as a result of the disappointing campaign. Shin Tae-yong has since taken over the top job. Any hope of progressing beyond the group stage will come down to the performance of their star player Son Heung-min. The Tottenham Hotspur attacker can play as a winger as well as a center forward. The 25-year-old has enjoyed two fantastic seasons in North London, scoring 21 goals last season and 18 this season in all competitions. However, as has been shown in the Premier League, Son tends to be anonymous on the big occasions and this has been a major disappointment for Spurs fans towards the hugely talented player. What a miss. Euro 2016 saw the end of the Zlatan Ibrahimovic era and previous talk that the great one might come out of international retirement just for the World Cup finally came to an end with the Swedish giant declaring his unavailability. Ibrahimovic still has so much to give in football, scoring two fabulous goals in an outrageous Major League Soccer debut for LA Galaxy just a few months ago after his trans-Atlantic switch. But now Sweden must move on. The new Swedish team under Janne Andersson is extremely hardworking and disciplined. They knocked Italy out of the playoffs by “playing like Italy”, according to then Italian coach Gian Piero Ventura, thus ensuring the Azzurri missed the World Cup for the first time in six decades. Physical and well-organized, Sweden’s rigid defense in their 4-4-2 formation will make them difficult to break down. But the current Sweden squad lacks the stars of previous eras, with most of its players now spending their time in the weaker European leagues of Denmark, Greece, Russia and Scotland. Some said that Germany’s loss to France in the semifinal of Euro 2016 was the end of the Joachim Löw era. But that judgement appears to be premature. The 2014 World Cup champions bounced back powerfully by qualifying for Russia with 10 wins from 10 matches, scoring a joint European-record 43 goals. They also won the Confederations Cup last summer despite having plenty of key players missing. Germany’s dominance in recent years is reflected by the fact that there is an endless production line of talent coming through its very well-structured youth development system. Germany featured fairly young national teams in both South Africa 2010 and Brazil 2014 and were again the second youngest team to qualify for Russia at an average age of 25.7 years, older than only Nigeria. The Golden Boot winner at the Confederations Cup last summer, Timo Werner, has proved to be the perfect replacement for retired great Miroslav Klose. The 22-year-old RB Leipzig forward made history as the youngest player in Bundesliga history to reach 150 top-flight appearances this season and it seems that he is looking to break more records in the upcoming World Cup. In the last six World Cups without exception, Mexico has been knocked out in the Round of 16. Surely El Tri will look be looking beyond the group stage this time, with the opening fixture against Germany to be by far their biggest challenge. However, the lack of truly exceptional talent in the squad has made them vulnerable against stronger opponents in recent times. 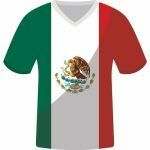 Against lesser teams, Mexico has a relatively strong track record. They are the winner of their CONCACAF Group ahead of Costa Rica and Panama, but when they played in more demanding fixtures their results were miserable. Colombian coach Juan Carlos Osorio is still being questioned about his input even though they qualified for Russia with ease. The problem isn’t just their losses to the big guns but the size of the scorelines, including a 7-0 defeat by Chile and 4-1 loss to Germany in the Confederations Cup. Mexico’s all-time top goalscorer Javier Hernández, who has scored 49 times in 100 appearance so far, has been struggling for match time at West Ham United. Román Torres’s name will forever be ingrained in Panama’s football history. During the final qualifying match, the national hero scored their most important ever goal to claim victory against Costa Rica with three minutes left. Combined with the United States’ shocking loss to Trinidad and Tobago, Torres helped Panama qualify for their first ever World Cup. Panama’s World Cup quest is truly a fairytale story. 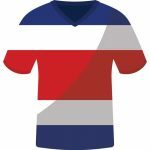 Currently sitting 55th in the rankings, with an average position of 89th since FIFA’s World Ranking system began, they reached the World Cup finals at the expense of 24th-ranked USA, who had played in seven consecutive World Cup finals until now. However, it will be very difficult for manager Hernán Darío Gómez in Russia this summer. The veteran Colombian has led four teams at World Cup finals, including the so-called golden generation of Colombian football in 1990 and 1994, so he knows the huge challenge that awaits. Panama has the oldest squad among all the qualified teams at 29.4-years-old on average, so experience is on their side. Tunisia qualified for the World Cup by topping Group A in the African confederation, having avoided traditionally strong African teams like Cameroon and the Ivory Coast. They registered four wins and two draws in a group also featuring DR Congo, Libya and Guinea. After missing two World Cup in a row, Tunisia is back on the big stage. 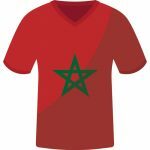 The North African country’s golden era was between 1998 and 2006, in which time they progressed to the World Cup finals three times in a row. But on all three occasions, Tunisia failed to progress from the group stage, showing the gap between them and the world’s big guns. This summer could be no exception for them. Without talented individuals playing in major European Leagues, Tunisia will struggle against Belgium and England. Youssef Msakni who plays in Qatar’s Al-Duhail is the top goal-scorer in the current squad. The 27-year-old is reaching his prime, scoring freely in the Qatar League, but the intensity and competition of that league is nowhere near the major leagues. Russia 2018 presents a far better opportunity for Belgium than Brazil 2014. Four years ago, a team full of talented players like Vincent Kompany, Eden Hazard and Romelu Lukaku was knocked out by Argentina in the quarter-finals, but the fact was that Belgium had never played in a match that big before. A change of head coach has brought the team some fresh hope. After the disappointment of that 2014 World Cup and a 2016 European Cup campaign that ended in a quarter-final loss to Wales, the great motivator Marc Wilmots was sacked with Spanish coach Roberto Martinez brought in to replace him. Belgium has a delicious core within the team. If you have Lukaku up front, Kevin De Bruyne as the creative genius, Hazard attacking from the wing and Thibaut Courtois in goal, the ingredients for success are all there. But in the end it will be up to the manager to turn a team of champions into a champion team. 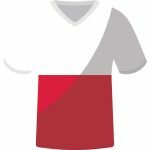 The European Red Devils enjoyed a successful qualification campaign under Martinez’s reign, picking up 28 points from 10 games and scoring 43 goals in the process. 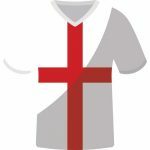 If recent football history is anything to go by, we should certainly have expected a successful qualification campaign from England after its disappointing Euro 2016. In fact, England have not lost a qualifying match for any major competition since October 2009, no matter how dreadfully they have performed in the tournament proper. This year, English fans sense a glimmer of hope. Having taken over the top job as caretaker coach from the short-lived Sam Allardyce, young Gareth Southgate quickly made the job his own by steering the team from qualification to the World Cup with ease. Southgate made some high-profile changes, including moving out veteran players like Wayne Rooney and switching the system from a traditional bank of four to three defenders. Now, the Three Lions operate with a young and attacking minded 3-4-2- 1 formation, with Harry Kane up front. Behind the in-form striker, Raheem Sterling, Dele Alli and Jesse Lingard provide flair and speed. In the final third, Jordan Henderson sits in front of the back line, dictating the pace of the game, just as he did so successfully for Liverpool this season. When we talk about Poland, one name instantly jumps to mind: Robert Lewandowski. As one of the best strikers the football world has ever seen, Lewandowski sometimes carries the whole country’s hopes. He scored 16 goals in World Cup 2018 qualifying, creating a new record for most goals in a single UEFA qualifying campaign, beating Cristiano Ronaldo’s 15 goals set in the same year. His tally represents 57.1% of goals from Poland in the campaign. As the all-time top scorer for Poland with 52 goals, Lewandowski provides the biggest threat from the Polish squad and his contribution ensured Poland was in Pot 1 for the World Cup finals draw. This season, Lewandowski scored 40 goals in all competitions for Bayern Munich for the third time in a row. The statistics only show that the Polish striker remains in his prime and the World Cup 2018 will be the biggest stage for him to shine. Poland do have other attacking threats. Kamil Grosicki, the winger with lightning speed, provides options when opponents man-mark Lewandowski. The Hull City player scored one brilliant solo goal in a qualifying game against Romania. Another one to watch is Napoli’s striker Arkadiusz Milik. This will be Senegal’s second presence in the World Cup finals after Aliou Cissé, who was captain of the 2002 side under the late Bruno Metsu, guided his team through a difficult qualification group containing Burkina Faso, South Africa and Cape Verde, scoring 10 and conceding only three goals in the process. In 2002, the dark horse Senegal surprised the world by reaching the Round of 16 at the expense of Uruguay and France, with players like Salif Diao, Papa Bouba Diop and El Hadji Diouf attracting attention from all over Europe. The African country marched on by knocking out Sweden in the Round of 16, eventually falling to turkey in the quarter-finals. This summer, Senegal’s fate will rely on the performance of their attacking line. Playing 4-3-3, the combination of Kaita Baldé, Sadio Mané and M’Baye Niang is crucial for them. Much will be expected of Liverpool star Mané, who has been Senegal’s main man for several years and has been compared to El Hadji Diouf, the talisman of the 2002 side. After the fading of the golden generation of Colombian football, which included the likes of René Higuita, Carlos Valderrama and Faustino Asprilla in the 1990s, Colombia finally returned to the big stage in Brazil four years ago. Thanks to the amazing performances of James Rodríguez and Juan Cuadrado, who produced the most goals and assists in the World Cup respectively, Colombia reached the quarter-finals before succumbing to host Brazil in a highly controversial match. The good news is that, after a slow start in Bayern Munich on loan from Real Madrid, largely due to injuries, Rodríguez has gradually rediscovered his form, scoring a fantastic goal in the Champions League semi-final against his former team. Japan’s hopes in Russia this summer suffered a big hit two month before their opening game when the manager who led the team to qualify, veteran Bosnian-Herzegovinian coach Vahid Halilhodžić, was sacked and replaced by Akira Nishino. The sacking was not unexpected, but timing is problematic. 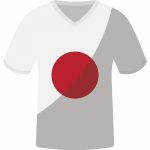 Japan under Halilhodžić was largely unrecognizable, as the East Asian team have traditionally preferred a possession-based style while Halilhodžić demanded his side look to play on the counter. His drastic reforms saw Japan’s two biggest stars, Keisuke Honda and Shinji Kagawa, dropped from the squad as they failed to fit into this philosophy – or, in other words, they preferred Japan’s traditional approach. The philosophy caused big debate in Japan, but the timing of the sacking has caused even greater concern. Will Nishino, who hasn’t coached any team in the last three years, have enough time to reorganize the team?